This is the truth--Kelli has one of my all-time favorite blog names. Ever. So you can imagine my excitement when she said she would play The Name Game! 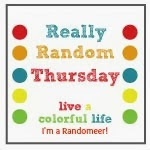 If you read her profile, you will find out that she is an RN, where she worked in a cardiac ICU for eight years--which gives her blog name a double meaning (and made me like it even more!). She is also a cancer survivor, living in California. The funny thing is that we will probably meet each other not in California but in Portland at quilt market, because I'm going (yay) and she is helping a friend who will have a booth there. Kelli, how did you choose the name for your blog? Since I am a nurse, I wanted to make my blog name a play on words, something to do with getting stitches. Something catchy that could have a double meaning. And it seems like I am always telling people who cut themselves really bad, "No really, I think you need stitches." Or, "That looks like it might need stitches." And the only quilting I'd ever done at the time had been hand quilting, which is all about "the stitches". Also.. laughing really hard, as in.. "that had me in stitches." Stitches could go so many ways, and eventually I settled on "Seriously..I think it needs stitches." When I first started trying to come up with blog names, I wanted it to be "The Bee's Knees", b/c when I had my son, that's what I always told him. "You're the bee's knees". I was so in love with him. But that was taken, as well as several other Bee-ish blog names. I didn't realize how the word Bees was so prevalent in quilting and/or quilting blogs. 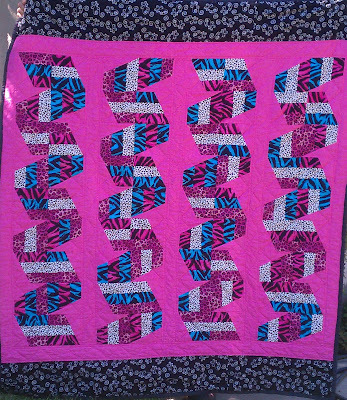 Then I decided to just switch over and look for something to do with stitches, since I was going to blog about crafty things, which seemed like a fun way to go, given my background. Thanks so much for playing this week, Kelli! I can hardly wait to meet you in person. Please go over to Kelli's blog, say hi and spend some time looking around. You're sure to find something that will keep you in stitches! Is there a blog name you would like to know more about? 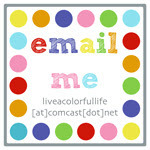 Send me an email and I'll try to make it happen! I love all the reasons why Kelli chose the name of her blog...stitching is what binds us all together! 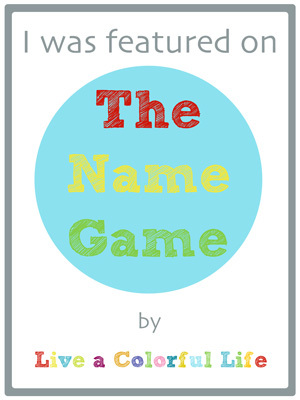 I love Kelli and her blog and it's wonderful to learn more about her blog name! I love Kelli's blog! I figured her name had something to do with being an nurse. Thanks again for this great series. I love reading how some of these blog names come to be. My husband sort of picked mine for me. I agree Kelli picked an awesome name for her fab Blog! Kelli has a wonderful blog and I always enjoy her posts. Thanks for sharing more about her with all of us. Love the name of Kelli's blog! I'm already a Kelli fan, so thanks for featuring her! Great name we can all identify with!! Seriously. This is a TERRIFIC name for a blog--way to snag her for your Name Game! Oh she's an RN, makes perfect sense as I've heard those very words more than once from my friend that's a nurse (directed at other people). Great :) Love this series by the way.